An increasing number of social entrepreneurs have come to realize that moving from ideation to success often requires going beyond the usual, the traditional, the expected. They need to shake things up, turn ideas upside down and infuse their solutions to challenges with a creative twist, new technology and/or a bold rethink. 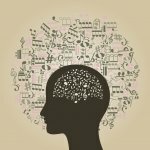 Of course, innovation is not an approach unique to social entrepreneurs. It’s a popular tool for any entrepreneurs who want to rise above the fray and differentiate themselves from their competition. And to be innovative doesn’t necessitate brand spanking new ideas or reinventing the wheel. Leveraging what already exists and adopting new ideas into the mix can prove effective — and profitable. But, as we’ll see in this chapter, for social entrepreneurs it’s more than being disruptive for the sake of competitive advantage. It’s about finding new ways to tackle social and environmental challenges because the old ways are simply not working — or not scaling at a pace that makes longterm change feasible. It’s about looking for new, creative answers to old, seemingly unchangeable problems. For Komal Ahmad, the old problems came in the form of food security and its sister challenge, food waste. Her inspiration? A homeless man with whom she generously shared her lunch one day who shared his story: he had recently completed a second tour in Iraq and was struggling to make ends meet while he waited for his VA benefits to kick in. That someone who had dedicated his life to the same country that was now failing to feed him seemed incredulous to Ahmad. That they were eating across the street from the Berkeley College campus she attended, where food was often thrown out from the cafeteria, only reinforced the paradox. She was now on a mission. She asked Berkeley representatives why they threw out so much excess food and was told it was a liability issue. But that didn’t make sense. How was food worthy of feeding college students one minute potentially problematic the next? 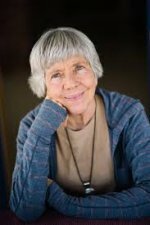 Upon further research, she found that in 1996 Congress had passed the Bill Emerson Good Samarian Act, which effectively absolved donors from liability when donating food, except in cases of gross negligence. “Since that time, the number of lawsuits or legal claims has been zero,” she says. It then hit her: what she needed was to innovate the old process to better match food waste with need. Copia was born in 2011. “We didn’t invent the concept of food recovery; we just put technology behind it,” she explains. Copia allows businesses, event organizers and others to request a pickup of their surplus food for a fee contingent upon the quantity of food being donated. An algorithm then matches the requests to non-profits who’ve put in food requests, and Copia’s “food heroes” are dispatched for pickup and drop-off. Photos and testimonials of recipients, as well as data and analytics, are made available to donors to reinforce measurable impact. And from start to end Copia promotes environmental and financial efficiency. Today Copia operates in San Francisco and is expanding into Los Angeles, Austin and other cities, with the expectation of growing across the US by 2018. As she contemplates a franchise model, Ahmad is also open to opportunities to partner with similarly minded organizations who can make use of their technology to streamline efficiency and increase impact. To be sure, Ahmad has her eyes set on the world, having received over 60,000 requests from people wanting to use the platform and technology. Senior government officials in Germany and Austria, for example, are inquiring about better ways to match food and other resources for Syrian migrants. “I would never have fathomed that possibility back when I was in college,” says Ahmad. Once food redistribution is figured out on scale, the possibilities of matching different resources and needs are endless: disaster relief, medical supplies, books, medicines. Any need that doesn’t stem from lack of resources but inefficient distribution can technically fall into her innovative, tech-savvy hands. Of course, challenges remain. The pace of change, for one. “If you asked me five years ago, I would say, ‘Yeah, it would be solved already,’” she says of food waste. But when you get down to the nitty gritty, you realize why change takes time. “I’m hopeful we can create a model that will allow us to replicate quicker,” she says. But it won’t be completely uniform. Appreciating local distinctions, one model will work best for Middle America, another for New York, yet another for San Francisco and a distinctive one for London, UK. It’s still early days, but, with growth essential, Ahmad’s goal is to find a way to identify needs and operationalize without duplicating efforts. As for lessons learned, at the top of Ahmad’s long list is this simple yet powerful one: never give up. Don’t be dissuaded by those who don’t believe in you, she says, recalling how when she first started Copia, some people dismissed her efforts as “cute.” “Now people take me more seriously.” She laughs. “They see I’m still doing it; it’s not a hobby. Eradicating world hunger is not a part-time job.” Sometimes innovation requires turning an industry on its head. Take Boston-based MASS Design, the ultimate disruptor in the field of architecture. “Architecture is never neutral,” their website proclaims. “It either heals or hurts.” With the belief that architecture has power beyond a building’s four walls, that it should be held accountable for community and serve as a vital proponent to its health, MASS’s mission is to build and advocate for architecture that promotes justice and human dignity. If you believe, like co-founder Alan Ricks does, that architects should tackle challenges that face communities, the only way to do that is to turn architecture upside down, inside out. To create innovative buildings that better the lives of people and promote their health and dignity throughout the process — from design and planning and engineering to construction. Ricks says the idea for MASS Design came about after a stint in Rwanda, where an outbreak of tuberculosis was traced back to a health clinic. It made him realize that buildings can make people sicker. The question became, If bad design is making people sick, can good design make people heal? To that end, MASS works on schools, hospitals, health centers, housing projects and any initiative that falls within their typologies of health, education and justice. To wit: they were hired by Haiti’s Les Centres GHESKIO to create a health infrastructure to combat cholera — the country’s first permanent facility for cholera treatment. Hit with the biggest cholera outbreak in the past century, Haiti faced the more pertinent question of how to move beyond emergency responses to tackle the endemic problem. Effectively establishing a new paradigm for cholera and diarrheal disease treatment and prevention, the facility boasts easier-to-clean equipment, comfortable furniture and greater privacy for patients and their families, bringing back dignity to the healthcare equation. The patient-centric treatment center also offers an on-site sanitation system that helps combat water and waste issues. Given that only 28 percent of Port-au-Prince residents have access to clean water and sanitation, its capacity to treat up to 250,000 gallons of wastewater annually is fundamental. In 2015 MASS Design worked on the Mubuga Primary School in Rwanda, which now serves as a model for public education in the country, promoting comfort, health and a playful learning environment. The new classrooms offer sufficient light, ventilation, a library and a teacher’s space for resources. Believing in the importance of play and sports in facilitating healing, the school also has play areas, a volley ball court and outdoor education areas. And to ensure that their design is replicable and capable of addressing related issues of school infrastructure in the region, the architectural design for the building incorporated local materials and techniques. They even used local labor to promote community engagement and sustainability. Today MASS is working in about ten countries in Africa on a variety of projects, which include a $50 million hospital in Monrovia and two district hospitals in Rwanda, where it has a second office with a staff of 35. It’s actually where the company got its start, a fortuitous opportunity that offered the team significant insight into the systematic issues prevalent across the nation, resulting most particularly from rapid development and urbanization. It was that insight that gave the architectural firm its purpose. About to celebrate MASS’s tenth anniversary in 2018, Ricks hopes the first ten years will stand as proof of concept, demonstrating that designing around issues of social justice is not only possible, it’s beautiful and cost-effective — and sustainable as a business model. As for the next ten years, Ricks wants to bring the model to the US, proving the takeaways are not exclusive to emerging markets. MASS is ready to show that this disruptive approach to architecture is as viable in Boston as it is in Kigali. Elisa Birnbaum is editor-in-chief of SEE Change Magazine, a digital publication of social entrepreneurship and social change. Her journalistic portfolio includes articles published in the Globe & Mail, Toronto Star, CBC.ca, Profit, Zoomer and Lifestyles Magazine. She's a regular contributor on social entrepreneurship for the National Post and covers issues in the non-profit sector as a freelance reporter for CharityVillage.com. President of Elle Communications, Elisa helps her clients tell their stories effectively and with impact. 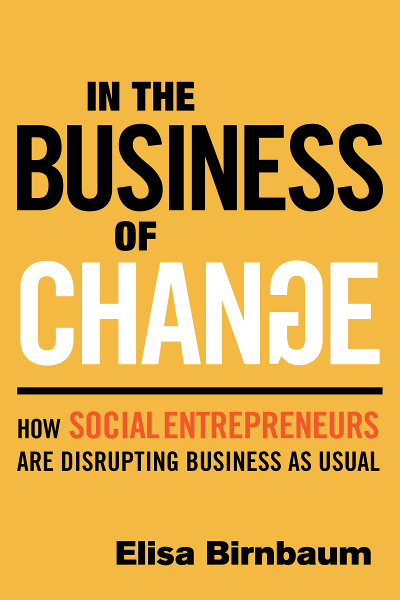 Excerpted from In the Business of Change: How Social Entrepreneurs are Disrupting Business as Usual, and reprinted with permission from Chelsea Green Publishing, publishers of renewable energy, sustainable living, organic gardening, and progressive books since 1984.